Often considered as one of the greatest Asian footballer ever, Hong Myung –Bo is a former South Korean footballer who appeared in four consecutive world Cup Final tournaments and now is the head coach of his current team South Korean National football team. Hong’s career as a footballer is titled epic and he is doing exceptionally well as a coach to his national team sending his nation South Korea to the 2014 FIFA World Cup. Born on 12 February 1969 in Seoul, Hong Myung started his football career in 1992 at the Pohang Steelers football club located in Pohang, Gyeongsangbukdo. But prior to this Hong, for the first time appeared in the 1990 World cup in Italy. Hong played matches against Belgium, Spain and Uruguay but unfortunately Korea lost in all three matches so it was eliminated. Hong did well while in Pohang Steelers club. He appeared in 110 matches and delivered 14 goals. While he was still in the club in June 7 1994 again he got to take part in the 1994 World Cup where he gave the first goal which was rather memorable because this match against Spain ended up being a draw. Weeks later Korea had the match against the champion nation Germany where Hong assisted a goal and then delivered the last goal himself but unfortunately Korea lost the match. In the year 1994 Hong played for his national team and appeared in 14 matches and delivered 4 goals. The fourth goal happened in the friendly match on September 11 in the same year against Ukraine where South Korean national team won by a single goal delivered by Hong Myung. Subsequently on August eight 1996 Hong scored another goal for his national team in 1996 AFC Asian Cup qualification against Chinese Taipei. Korea cherished the sweet taste of victory with a 4-0.he appeared in 16 matches in 1996.later Hong transferred to club Shonan Bellmare from 1997 to 1998.Hong’s spouse Cho Soo-Mi is five years younger than him .they married in 1997 and have two children, Hong Seong –Min and Hong Jeong-Min. Hong was successively seen appearing in the World cup for the third time. In the 1998 World Cup Hong played matches against Mexico, Netherlands and Belgium but unfortunately Korea got eliminated after 2 losses and 1 draw. Regarding his position as a sweeper, Hong was given a nickname “Libero for life”. In 1999 Hong was transferred to the team Kashiwa Reysol based in Kashiwa, Chiba. While in the club he gave 72 appearances and delivered seven goals. In 2000 he then played in the South Korean National under 23 Football Team which represents South Korea in the Olympic Games. Remarkably Hong made his way back to the World cup in 2002. Korea reached to the quarter finals and he scored a winning penalty to protect a 5-3 triumph against Spain after a goalless draw. He earned the 2002 FIFA World Cup Bronze Ball award and All Star Team Award and is the first ever Asian to be named in the top three players in a World Cup. 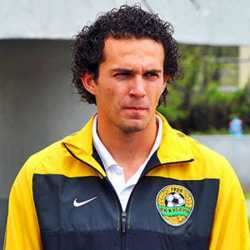 In the same year he joined his former team Pohang Steelers and became the runner up of Korean FA Cup. From 2003 to 2004 Hong played in the team Los Angeles Galaxy and was selected to FIFA 100 and became Major League Soccer All Star Team. 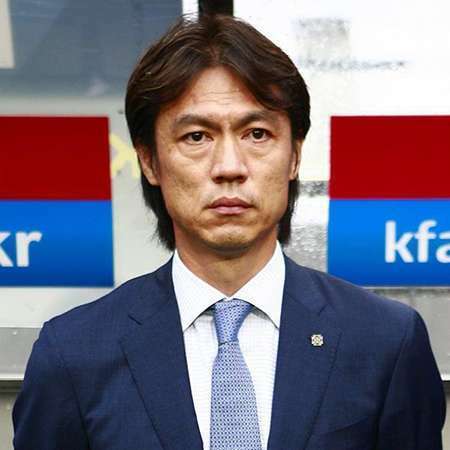 Having a Height of 1.82 meter (5 ft 11 inches) and a weight of 73 Kg, Hong Myung retired from playing football and started managing South Korea U-20 from 19 February 2009 to 19 October 2009 .His salary is unknown to sources but he is working very good in managing teams .Then from 19 October 2009 to 2o August 2012, Hong coached South Korea U-23. Under his guidance they brought home the Bronze medal in2010 from the Asian Games and again a Bronze medal in 2012 from the Summer Olympics. He is presently managing his national team South Korean National Football Team since 24 June 2013.